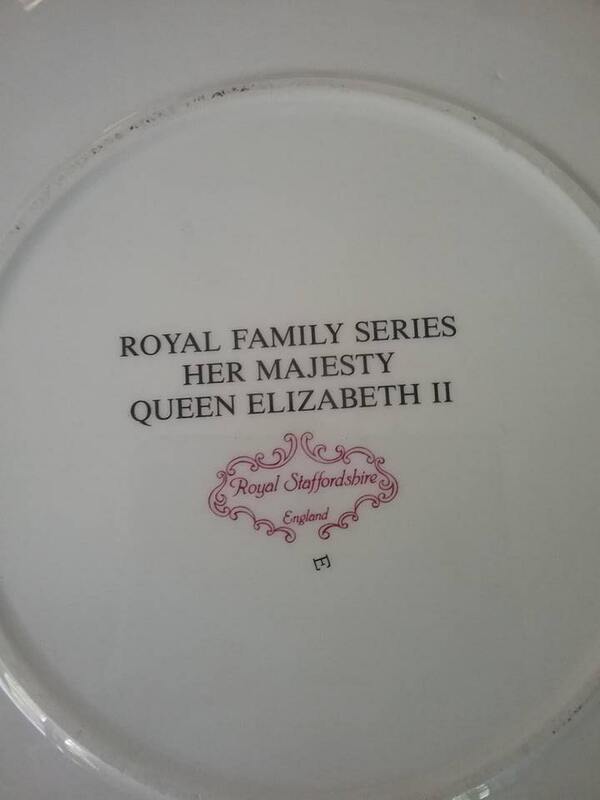 The Royal Family Series Her Majesty Queen Elizabeth II by Royal Staffordshire. 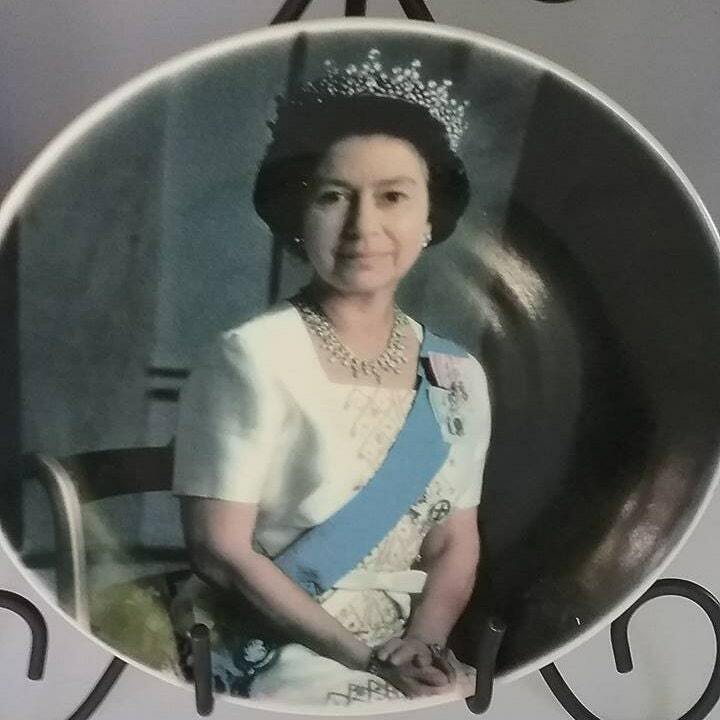 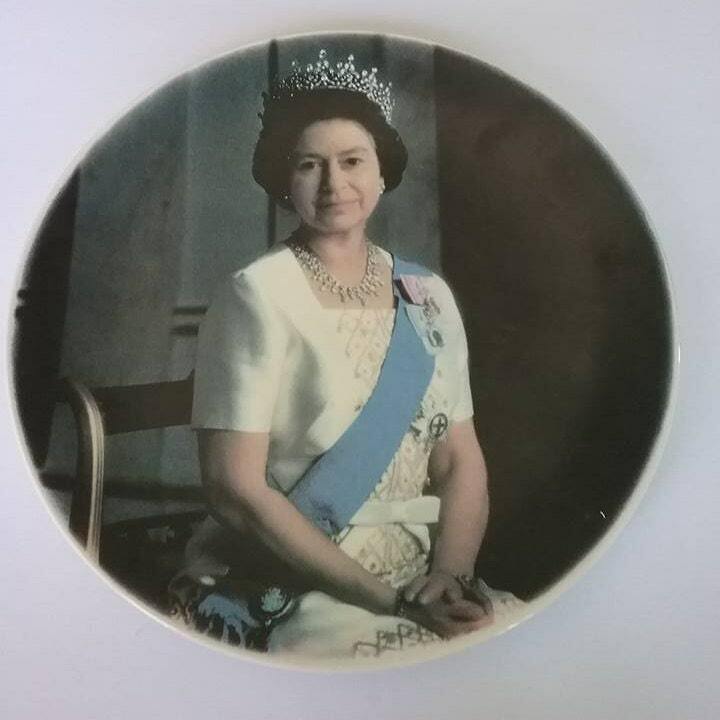 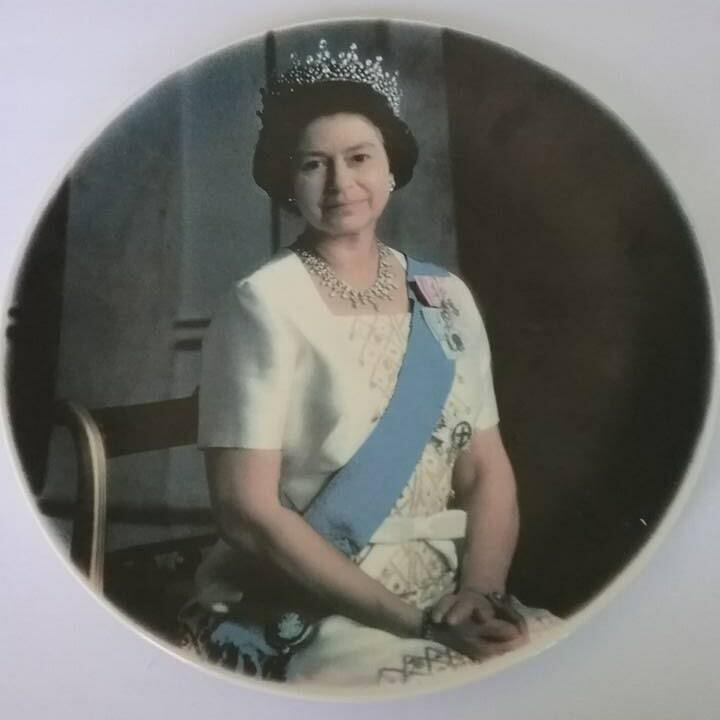 In very good vintage condition, 10" diameter, this plate presents Queen Elizabeth in a white grown, and blue sash, wearing a tiara. 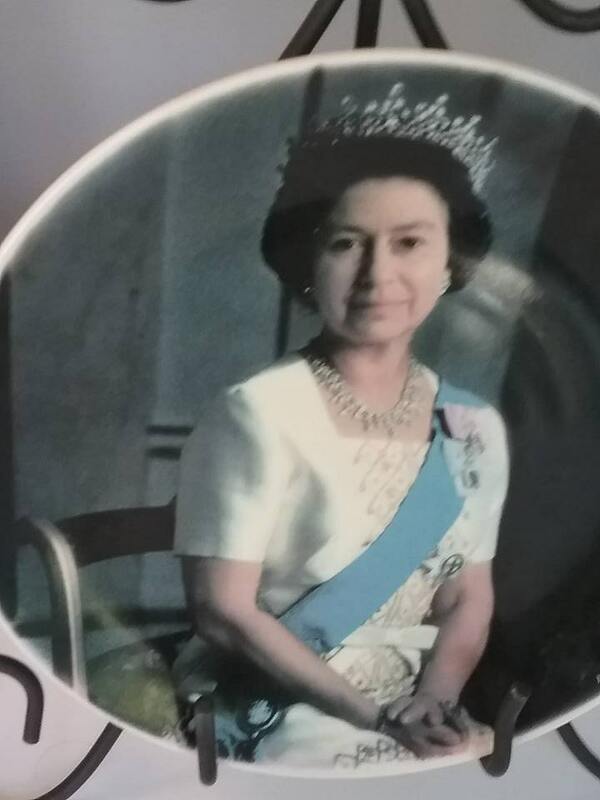 Rare portrait used for the Royal Family Series.